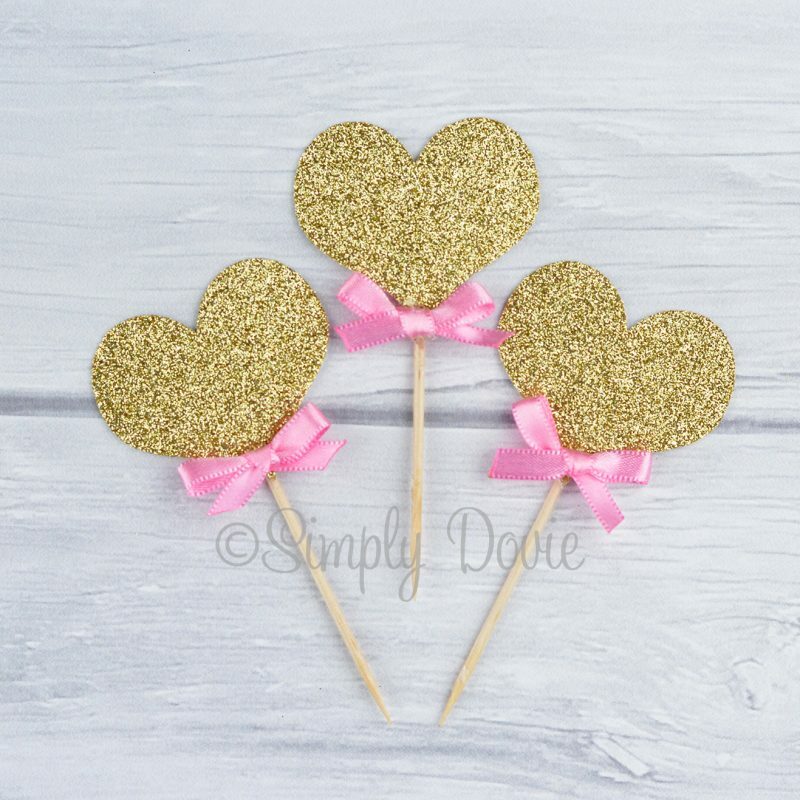 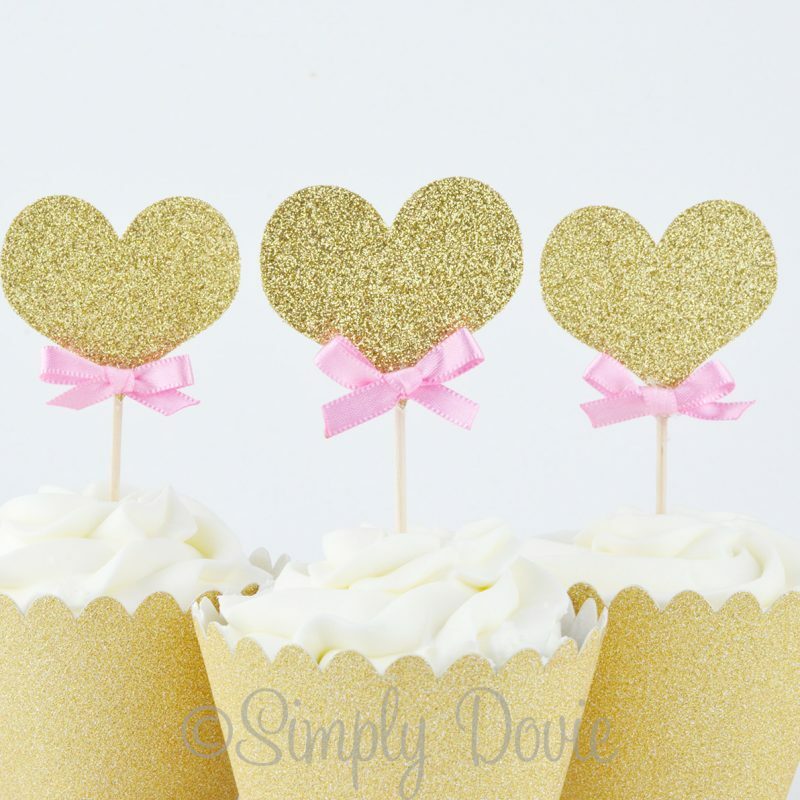 Adorn your cupcakes with these gorgeous gold glitter heart cupcake toppers! 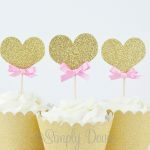 They will add an adorable touch to your cupcakes and will go perfectly with a heart or valentine’s themed party, baby shower or wedding. 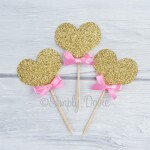 ♥ Choose from single-sided (gold glitter on front & white on back) or double-sided (gold glitter on both front and back. 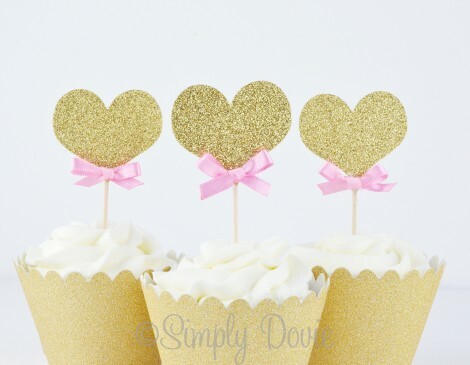 ♥ Size from top to bottom is approximately 3¾” tall. 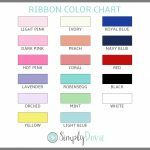 Width is approximately 1¾”.